If you’re a GEICO customer, and need roadside assistance and towing support in or around Long Beach, California, you’ve come to the right place. At Five Star Towing Long Beach, we’re able to help GEICO customers get back on the road quickly. Offering comprehensive roadside assistance packages at a great price, GEICO has become one of the most popular roadside assistance and insurance providers. Millions of customers now turn to the company for assistance each year. Five Star Towing in Long Beach is an official provider of GEICO roadside assistance, meaning you can utilize our services under the terms of your contract with GEICO. Whether you experience a blowout on the freeway, find your car battery drained at home, or simply need a tow to the nearest repair shop, we’re able to help you find the right solution. In addition to our status as an official GEICO roadside assistance provider, there are plenty more reasons to entrust Five Star Towing with your services. We offer a professional towing service that benefits from experience and professionalism. With years of prior experience, we’re able to tackle just about any towing scenario you can think of. Our qualified and licensed towing technicians are professional yet friendly, and always willing to go the extra mile. We provide our services on a 24-hour basis, helping you stay on the road whatever the time of day or the day of the week. 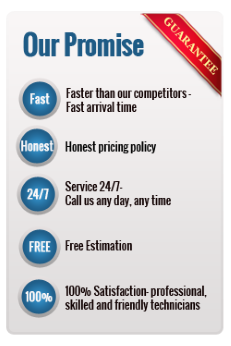 Furthermore, all of our services are offered at competitive prices that we’re proud to keep low. If you’re a GEICO customer, many of our services are covered under your insurance policy, meaning you won’t have to pay us a dime. We’ll sort all of that out with GEICO direct. In addition to all of this, we also provide battery jump starts, flat tire changes, lockout assistance and much more. All of our services are open to both GEICO and non-GEICO customers. When you’re in need of auto assistance, come straight to Five Star Towing in Long Beach. Contact us today to find out more about GEICO roadside assistance, as well as our additional Five Star Towing services.